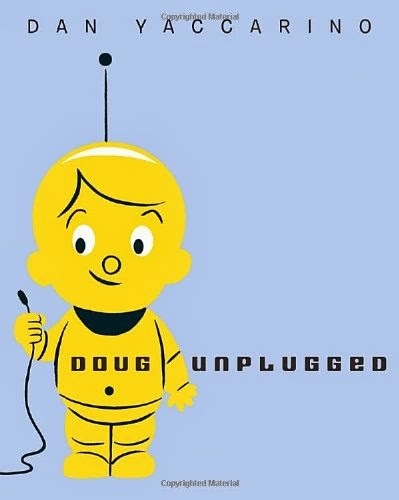 Doug Unplugged by Dan Yaccarino is a playful story of a young robot who begins his day dutifully downloading his daily ration of information until a cooing pigeon on the windowsill beckons him to go on an impromptu field trip. Once unplugged, Doug explores a bustling city, eagerly absorbing sights like the panoramic view from the top of a skyscraper, sounds like a screaming siren, and sensations, like squishy wet cement under his feet. He also helps a new friend and learns a life lesson about love. 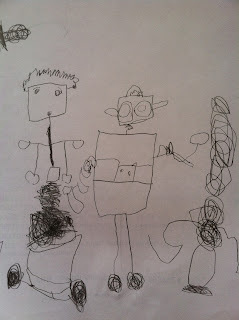 My three-year-old, Rockam, likes to point out the robots interspersed with human city folk in the stylized urban scenes. I enjoy the bright, retro illustrations. Also, the pacing of the book, with just one sentence per picture, makes it easy to read and holds both boys' interest to the sweet conclusion. The story's message is also one I don't mind sharing: learning should not be limited to the classroom or computer; approach the world with curiosity and gain life's greatest lessons. 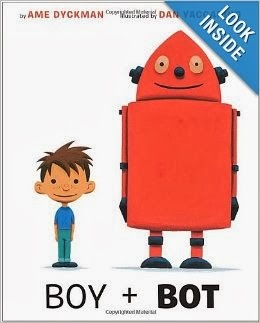 Boy + Bot by Ame Dyckman and, again, illustrated by Dan Yaccarino, is another story about robots and humans interacting and having fun together. But while the protagonist in Doug Unplugged is an automaton, Boy + Bot allows readers to see the story from both a human and robotic perspective. The plot follows a young boy and a bot, who, after a serendipitous meeting in the woods, spend the day frolicking until bot bumps his power switch and promptly turns off. Boy, worried about the well-being of his new friend, carts him home in a little wagon and tucks him into bed, hoping rest will cure his seeming illness. When bot is accidentally switched on in the middle of the night, it's his turn to misunderstand his human friend, who is now soundly sleeping. This is another enjoyable read for both kids and parents, who will have to whip out their best monotone robot voice for all of bot's lines. If you're into deeper meanings like I am, you might be able to tease out some lessons on enjoying simple pleasures and valuing cross-cultural friendships. 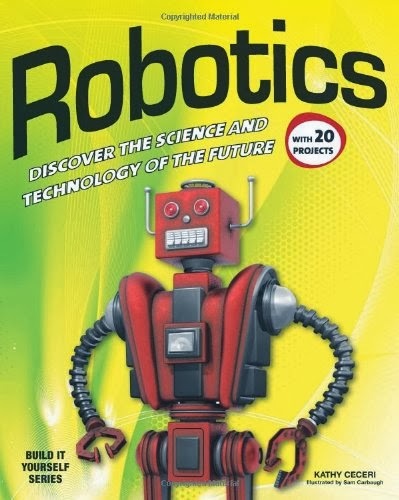 Robotics: Discover the Science and Technology of the Future by Kathy Ceceri contains a number of simple (and some not-so-simple) projects to build a foundation in robotics. Joe bought this book for Stephen's fifth birthday intending to create some father-son bonding moments. So far, they've created "Art Bot," "Knock-Over Bot" and a simple solenoid (yeah, I had no idea what that was either.) It's a fun challenge for them to find simple household items to convert into robot parts. As I write, those two are off to RadioShack to buy a small solar panel for their next invention. 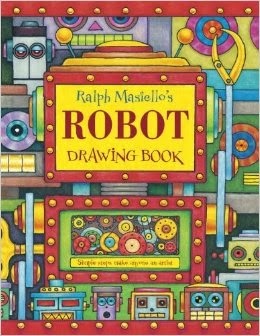 While a lot what's in this book is advanced for a five-year-old and his 30-something history major father, they've both really enjoyed creating robot projects together. Based on my second-hand observations, I'd recommend this book to older children interested in building robots, or younger children who have a willing accomplice in their parent.